We know you all love a vintage floral, and this one is just divine! A delicate and pretty english rose design in shades of coral pinks, sky blue and moss greens all on a background of primrose yellow. Just the most feminine collar ever! 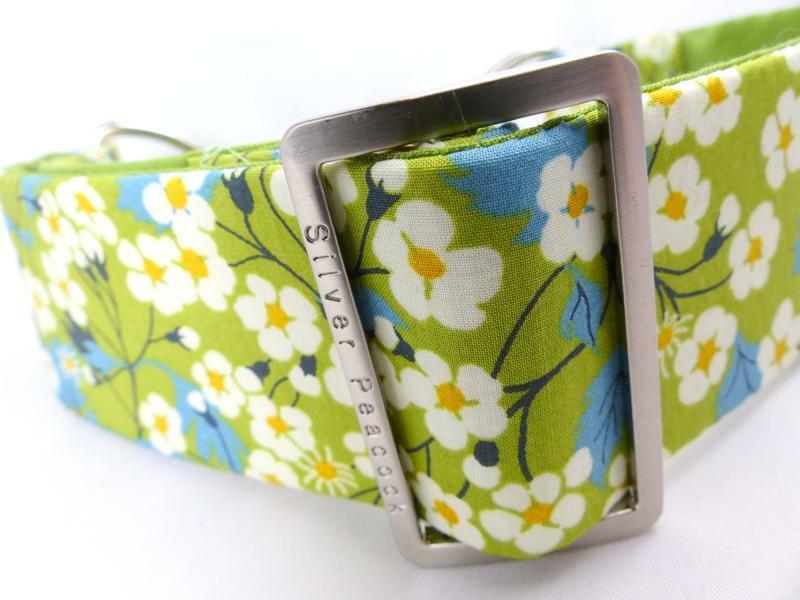 The collars are lined in co-ordinating sky blue fabric and are finished with our signature robust silver coloured hardware, and has a sky blue coloured webbing section.